A controversial verse in the Bible sparks college graduate student Ty Larson's curiosity causing him to stumble onto the faint trace of an ancient advanced civilization that's been all but lost to the sands of time. It soon becomes apparent that he's not the only one with an interest in this long-lost civilization, but the others who share this interest and what their intentions are remain a mystery. While wading through legends and folklore, clues begin materializing that lead Ty down a bizarre path, uncovering the secrets of the massive stone structures scattered across the globe from the distant past. From the timeworn ruins in the high mountains of Bolivia and Peru to the colossal megaliths in Baalbek, Lebanon to the Great Pyramid itself, Ty unknowingly inches ever closer to unearthing the disturbing truth of the origins of mankind. 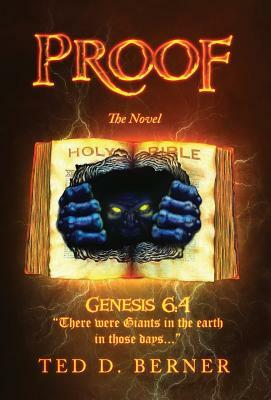 Although this novel is fiction, it's based on fact, Biblical scripture, texts found in the Dead Sea scrolls omitted from the Bible, and many other stories from around the world that millions believe to be true.